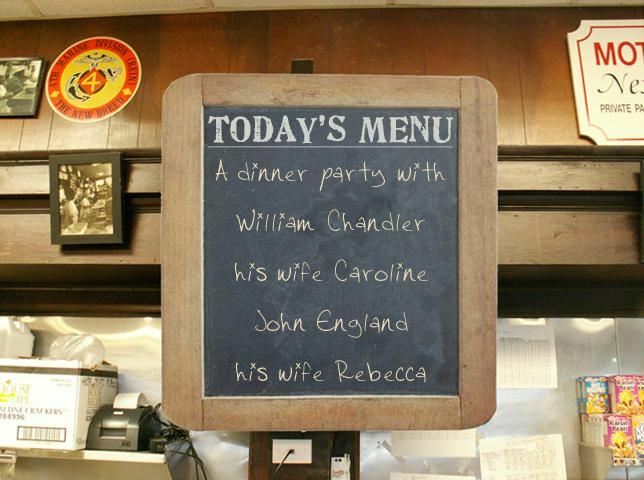 #52ancestors theme for week 4 is ‘Invite to dinner’ I knew exactly who was coming to my dinner party. William Chandler and his wife Caroline Chandler nee Bryant and John England and his wife Rebecca England nee Jackson are my great great grandparents on my mother’s paternal line. I have already written some posts about William and Caroline as well as others on John and Rebecca. But the reason I want to ask them to dinner is I have a lot of questions to ask them. I have settled for three questions per person. Where exactly were you born and when? Did you know Caroline and her family before you came to Tasmania in 1855? Who was your father and what was your mother’s maiden name? What happened to Charles before you and your mother came out to Tasmania? Did you know William back in England and did he ask for you to emigrate to Tasmania? Do you think your life in Tasmania was an improvement over life in Yorkshire? How did you get to know Rebecca once you were both in Tasmania? I know your father was William but what was your mother’s full name? How is Sarah (Jane) Steele related to you? What relation was Ann Jackson to you? This would be an interesting dinner party as William and Caroline were free arrivals to Tasmania while John and Rebecca came at their majesty’s request (convicts). I wonder if this would make any difference to the conversation. 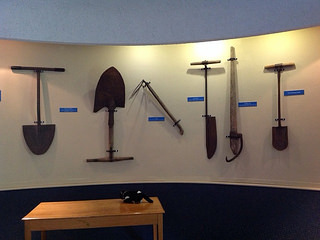 William’s family were into gardening while John was an iron moulder. The Chandler family lived in Sandy Bay while the England family were around Molle St, Barrack St and Goulburn St in South Hobart. William and Caroline’s daughter Julia married John and Rebecca’s son Henry in 1885. I wonder how the two met. Maybe a local church? It is a cold, dark night in April 1846. Members of the Jackson family are inside the Monglass home occupied by Caldwell Motherwell. “Da, hurry up,” whispers Rebecca. She listens intently for any sound coming from the bedrooms above. Rebecca slowly edges to the doorway with her younger brother William, who was wearing a macintosh, and her friend Mary Jane Gallagher, who was wearing a cloak. William the elder, Anne Jackson and Jane Steele, who were also members of the notorious Jackson gang, picked up the last of their stolen goods and followed the children out the doorway. 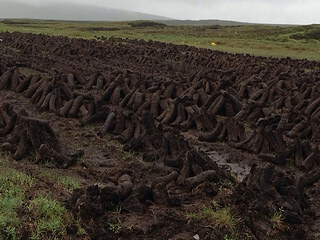 Quickly and silently they headed over the fields that should have been filled with potatoes, towards their home in Garshooey, about a mile away. 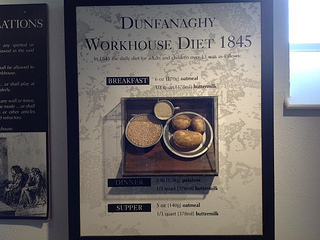 But with the potato famine happening all over Ireland, there was little in the way of food to eat. Pawning the pieces of clothing meant food in their stomachs for another week or so. Eight months later, Anne reports the thefts to the local sub-constable James Lowe. William, his son and daughter and Jane Steele are convicted of theft and sentenced to transportation. Thus begins a new life in Van Diemen’s Land for my great great grandmother Rebecca Jackson. Report of court trial at Lifford Quarter Sessions, Donegal, 1 January 1847. Found in the Court of Petty Sessions records for Newtowncunningham held at Donegal archives, Lifford. Two students replied to this story mentioning a bit of confusion with the two William – father and son. Also to maybe set the scene more with lots more description. Readers: Where else could I improve this writing? 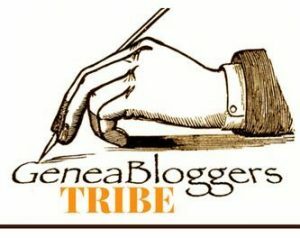 As it is only going to be published on this blog, feel free to re-write whole paragraphs if you want. Whilst down in Dublin, I had visited the National Library where many Irish newspapers are found on microfilm. I would suggest you use the newspaper database before heading there as you need to get a reader’s ticket, put in the order and they are not done immediately but once every hour or half hour. When searching the database, fill in the county you need and to narrow further the town. William Jackson, sen., William Jackson, jun., Rebecca Jackson, and Jane Steel, who lived in the neighbourhood of Carrigans, and have committed depredations in that vicinity for many years, were sentenced by the Assistant Barrister, at the above sessions (Lifford) to seven years transportation each. This gang, which had been a terror to the neighbourhood, thus have met a deserved punishment, owing much to the exertion of Robert McClintock, of Dunmore, Esq., in bringing their many delinquencies to light, through the information obtained by him from a former accomplice. Two days later on Friday 15 January 1847 in the Ballyshannon Herald and County Donegal General Advertiser, the same report was written up but no mention of William Senior. This may have been a misreading by the typesetter of the paper not noticing two Williams mentioned. 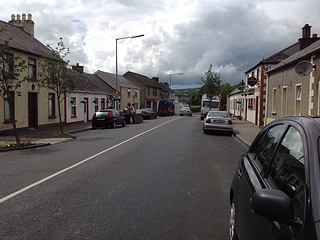 Modern day street at Carrigans. To know what it was like in Donegal at the time, I also found a report in a newspaper (forgot to write down which one) but in the section labelled Donegal Quarter Sessions – Division of Lifford. Much of the report was about the 258 Ejectment Processes the Assistant Barrister Jonathan Henn Esq had to look at. These ejectments are, we understand, brought chiefly against the small holders, whose rents did not exceed 4 pound per annum, and in getting rid of this class of tenants, the landlords are said to have two objects in view – namely, the consolidating of some five or six of these tenements into one farm, which, when let to a solvent tenant, would relieve them from the payment of the whole of the Poor Rates, which they are now obliged to discharge, and to get quit of this burden, is supposed to be the chief cause of these wholesale ejectments. The greater part, if not the whole of the wretched beings who are about to be driven from their miserable habitations, will likely become inmates of the poorhouses in their respective Unions, and will consequently increase the rates on the already over-taxed farmers, who will be obliged to support them. 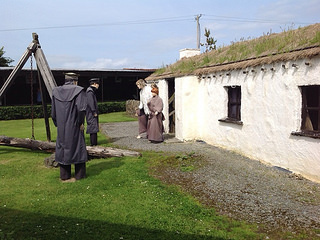 Nothing can more forcibly demonstrate the poverty of the country than to find such a number of people unable to pay their rent, as in this part of Ulster it is well known that the poor man, though himself and family are neither half clothed nor half fed, will make an effort to pay his rent, in order to secure, for himself and them, the shelter of a cabin that he can call his own, be it ever so humble. The blight that fell upon the potatoes during the past and the two preceding years, at once accounts for this general destitution among the lower classes of the rural population; and now to take advantage of their poverty, and extirpate them from the soil, appears to be a harsh and heartless proceding, however the law may justify the perpetrators of it. It is more than probable that we will publish in our next, the names of the chief actors in this wholesale clearance system, and thus allow them, should their work be meritorious, to enjoy the full credit of it, by giving them all the benefit of our extensive circulation. One very famous Irish County Donegal eviction was from Glenveagh(Derryveagh). Here is a website with lots of stories about what happened to those evicted by John Adair in 1861. 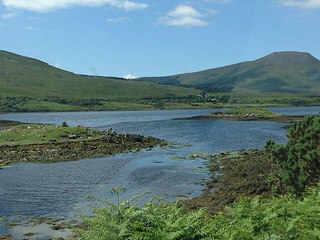 While in Ireland, I visited Glenveagh which is now a famous National Park. I also visited poorhouses and museums talking about the evictions. Here are some photos of these places. All these images (and 200 more) can be found in my Ireland 2014 album on Flickr linked here. Surely there were records telling me about the court trial …. I asked the archivist what sort of trial records they might have here. She replied that Petty Session records were here and which would I want to see. Now I wasn’t sure if I wanted Quarter Session or Petty Session records so decided to try the Petty Session just in case there was mention of the Jackson family misdemeanours in them over the few years prior to 1847. But which town or areas records would I look at? I remembered from the Outrage Papers that A McClintock was a magistrate from the Newtown Cunningham area so said I would try them. For that they did at Criche? on the 6th day of April 1847 into a certain dwelling House of one John Motherwell feloniously broke and enter and did then and there feloniously steal from one large cloak valued 2/5, on Mr Qutoste? cloak value 6d, 3 frock coats value 7/6, one body coat value 2/-, 3 pairs of trowsers value 6/-, 3 waistcoats value4/6, one sheet value 6d and one quilt value 6d the goods and chatels of Caldwell Morthewell? Motherwell? I think it might have been this latest case that really did it for the thieving Jacksons. But I notice the date is April 1847 – think that should have been April 1846 as they were tried in January 1847. I also see another Jackson being mentioned Nelly in County Derry. Wonder what relation she might be? So where else could I find records for the court case? Let’s try the newspapers – checked back in Dublin at the National library where the newspapers are on microfilm. William Jackson Senior is the father of William Jackson Junior and Rebecca Jackson. Jane Steele is a member of the Jackson family somehow – maybe William’s sister? Ann Jackson gave evidence against members of her family which led to their conviction and transportation – is Ann William the elder’s wife and Rebecca and William’s mother? They were tried on 1 January 1847 at Lifford Quarter sessions by the Magistrates of Newton Cunningham Petty Sessions. They were being held at Lifford Gaol. Ann Jackson has had a passage to Quebec paid for her and her two young children aged 10 and 6. As part of my trip I headed to Lifford Gaol to find out a bit more about it. 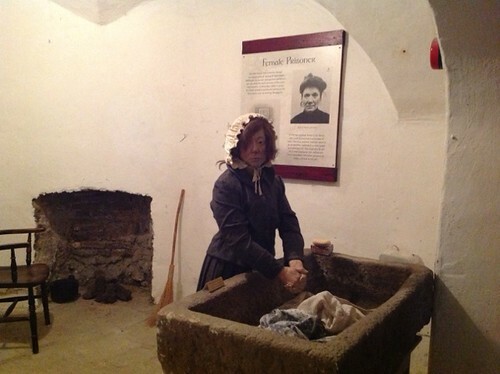 I was lucky enough to have a guided tour once one of the archivists found I had had a convict relative staying there. 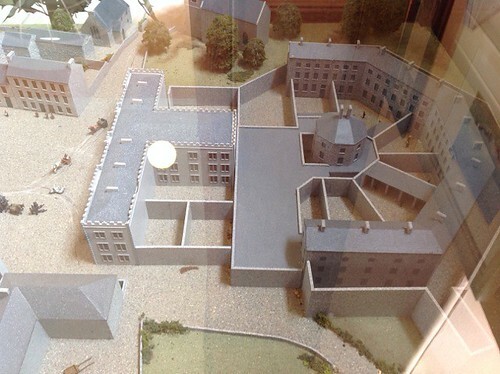 The only part of the old gaol remaining is down in the basement and what is now the Lifford Courthouse and Museum. If ever you visit, I recommend the meal at the old Courthouse. In surfing the web today, I found a report of what the gaol was like on 6 January 1847 when it was visited by the inspector generals of prisons in Ireland. There is a three page report and my Jackson family will be in the number of convicted felons mentioned. I enjoyed the humour when entering the archivists room. But unfortunately, they had nothing more about my Rebecca Jackson, so where was I to go now? I still had not seen any court records explaining what was stolen by this group of thieves. The archivists suggested the heading to Donegal County Archives about 100 metres around the corner. I might find the court records there.